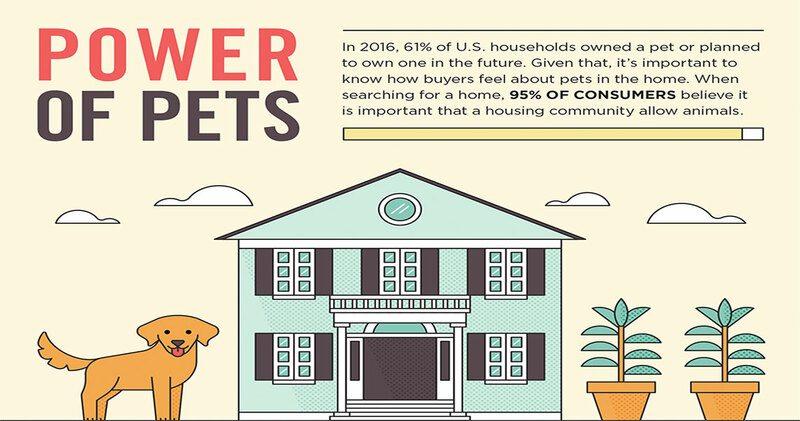 In 2016, 61% of U.S. households owned a pet or planned to own one in the future. 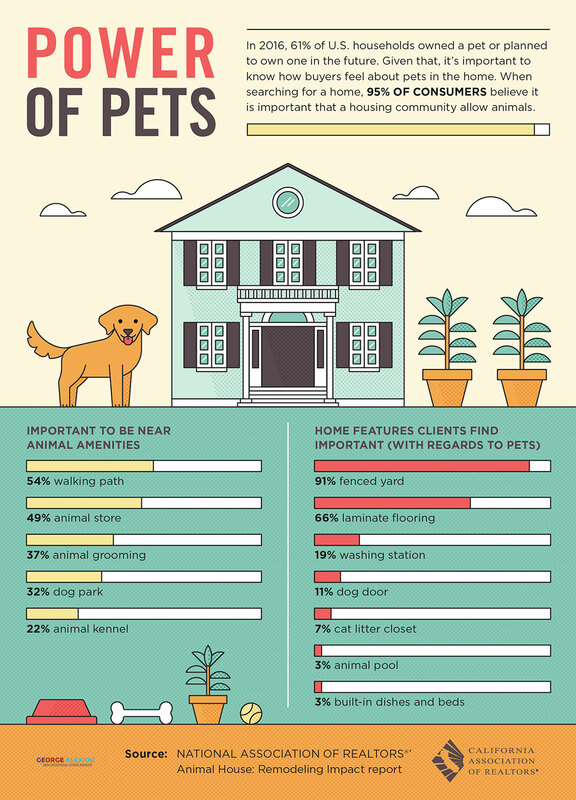 Given that, it’s important to know how buyers feel about pets in the home. 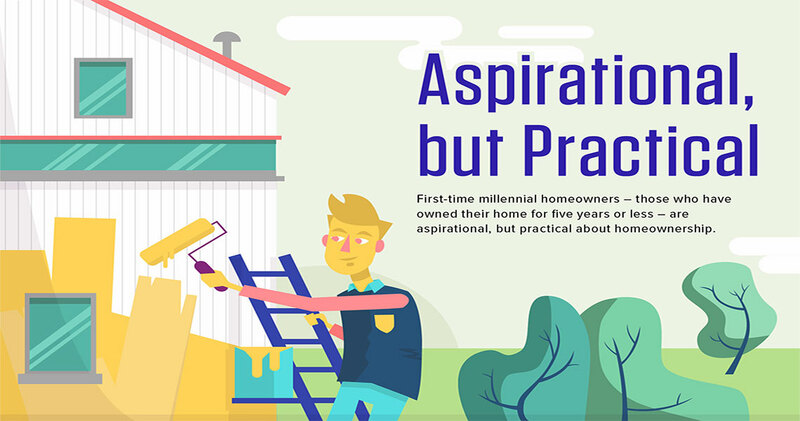 When searching for a home, 95% of consumers believe it is important that a housing community allow animals.